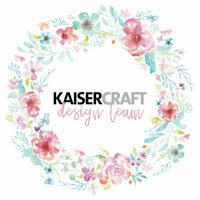 We have an amazing line-up of creative partners sharing their ideas, craft spaces and challenges with you today. 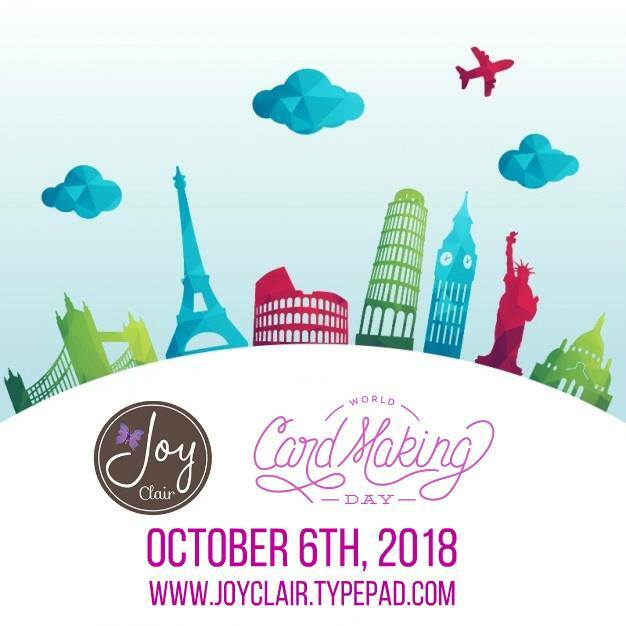 Blog Hop around the world with Joy Clair & Friends, featuring a dazzling array of very special friends and guests designers!! For right now let’s get some of the most important information out of the way so we can have fun, fun, fun all day (and night) long! We want everyone to be able to play so there is *no* requirement to use Joy Clair Stamps although we would be thrilled if you did. Please make a new card though! We will have all challenges open until next Sunday, October 14th, 2018 at 11:55 p.m. EST to let you create a little more, because celebrations should never be limited to a single day, right? If you are unable to participate in the challenges, simply comment on the posts. We will be giving one prize to a randomly drawn commenter compiled from all WCMD 2018 posts. 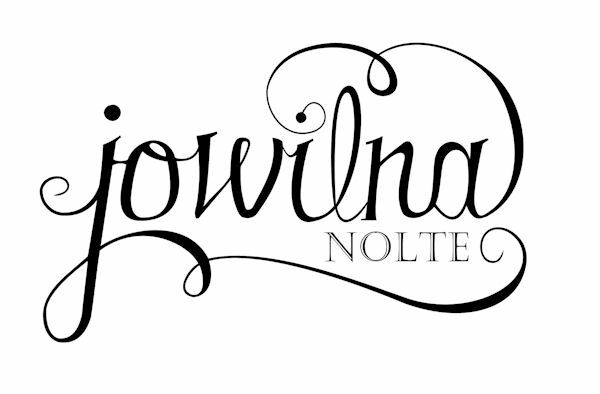 EDITOR’S NOTE: Winners of all the challenges will be announced as usual on a Joy Clair Blog post on Wednesday, October 31, 2018. We really want to reward those who enter multiple challenges. The crafters who enter a different card for at least FOUR (4) of the challenges (hopefully all of them!) AND add JCGP to the name of their link (for example “Lisa Lane JCGP”) will be entered into a special pool to receive the Grand Prize. 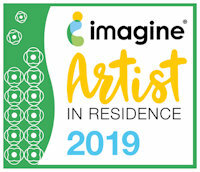 Entering to the WCMD -18 My Space Challenge below will qualify as 1 of those 4 challenges. What is the Grand Prize you ask? 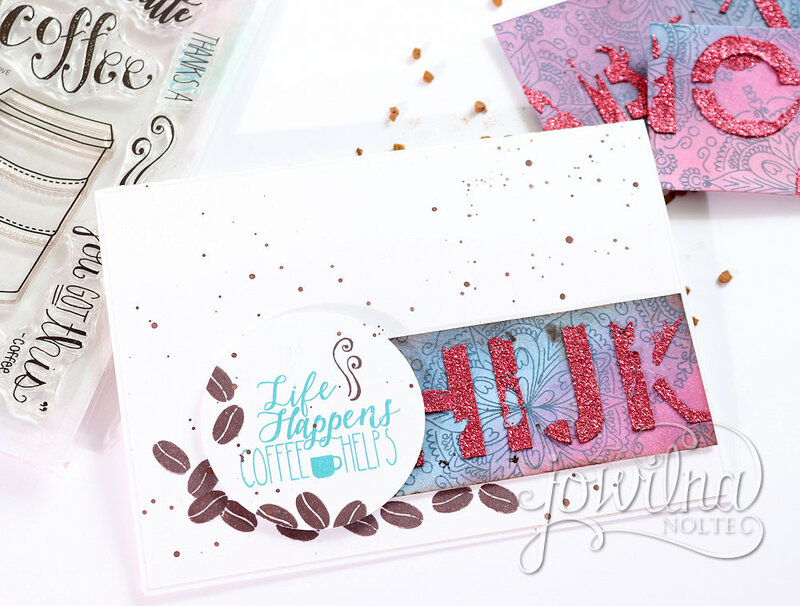 We are giving away 6 Stamps Sets from Joy Clair Store (just in time for our upcoming next Release)! For my card I used a combination of a sentiment and a stencilled background using letters. 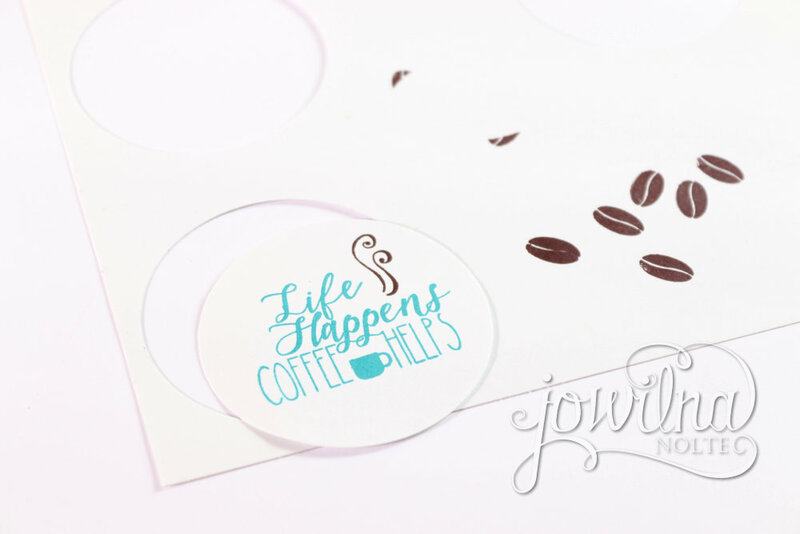 step 1 – Stamp your sentiment onto smooth white cardstock using Warm Breeze VersaFine Clair ink. Punch the sentiment into a cricle. 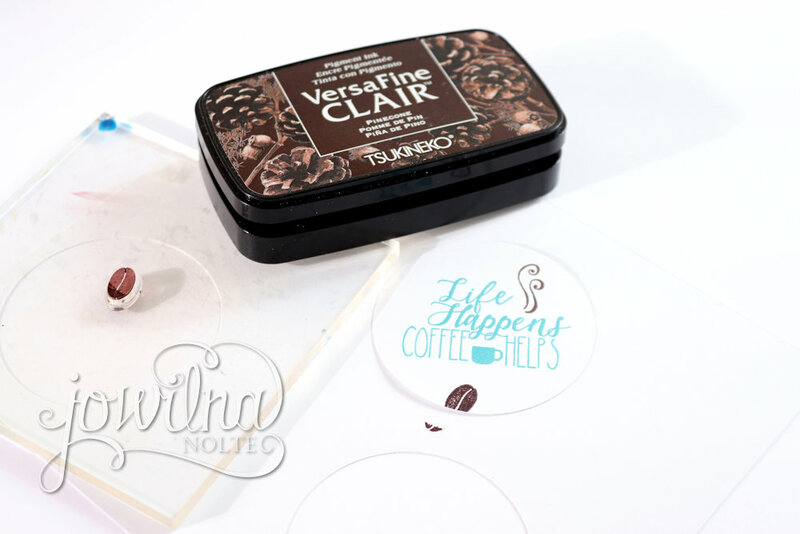 step 2 – Stamp coffee beans onto the circle using Pinecone VersaFine Clair ink. 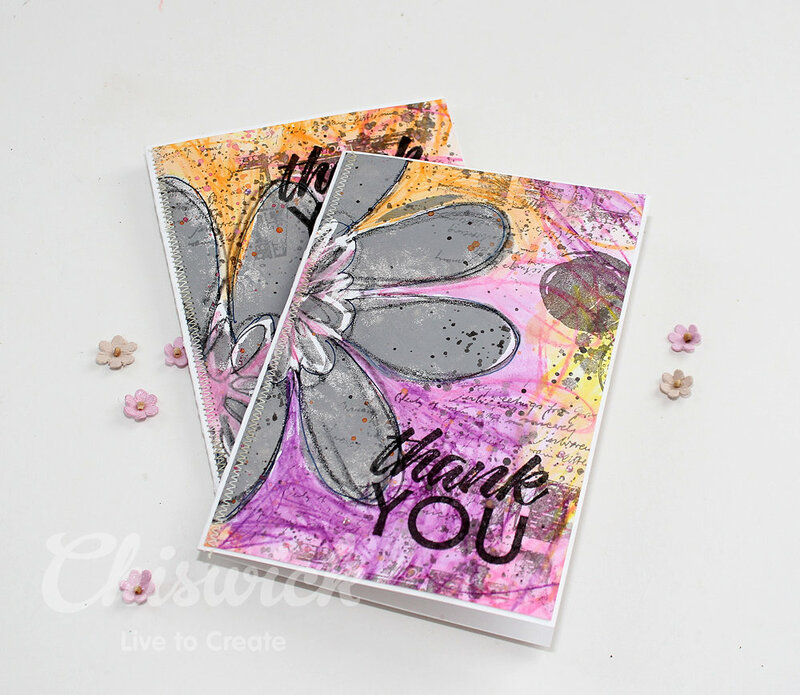 step 3 – Stamp the Doodle Flower Background onto a card panel using Warm Breeze VersaFine Clair ink. 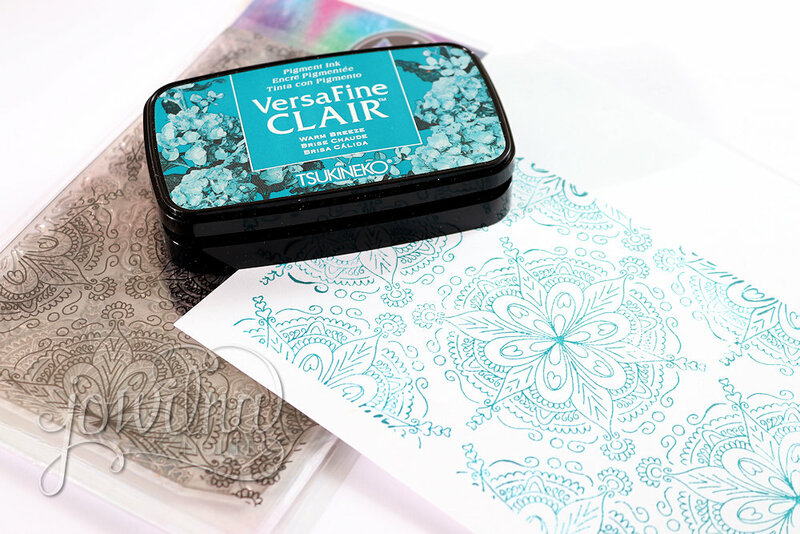 step 4 – Use VersaFine Clair and blend 2 colours over the stamped image to add colour. 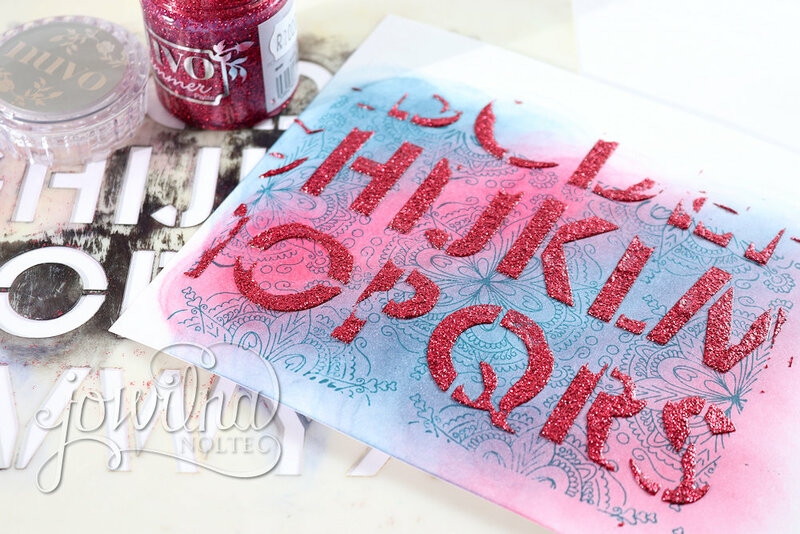 step 5 – Use Alpha stencil and glitter paste to stencil letters onto the background and leave to dry. Once dry, trim into a small strip. 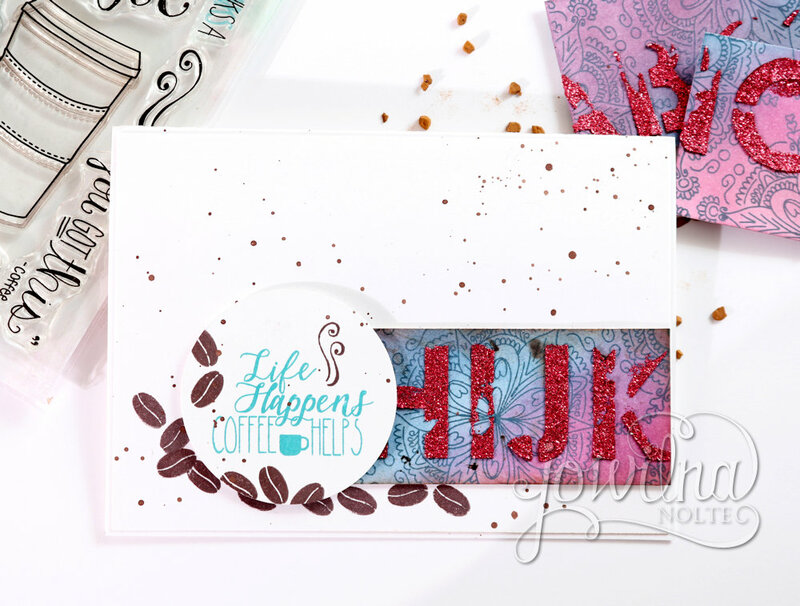 Stamp more coffee beans onto the front of your card panel. 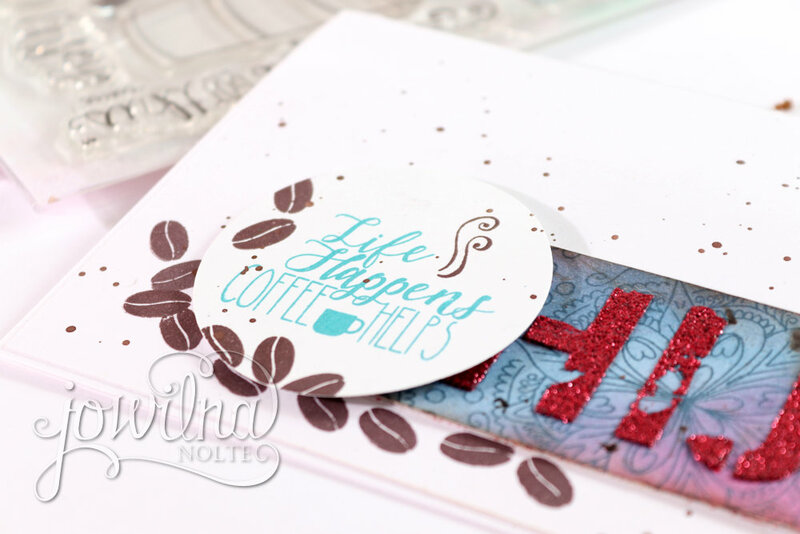 Combine the sentiment circle with the stenciled strip onto the card. Use foam tape to raise the circle sentiment for dimension and interest. 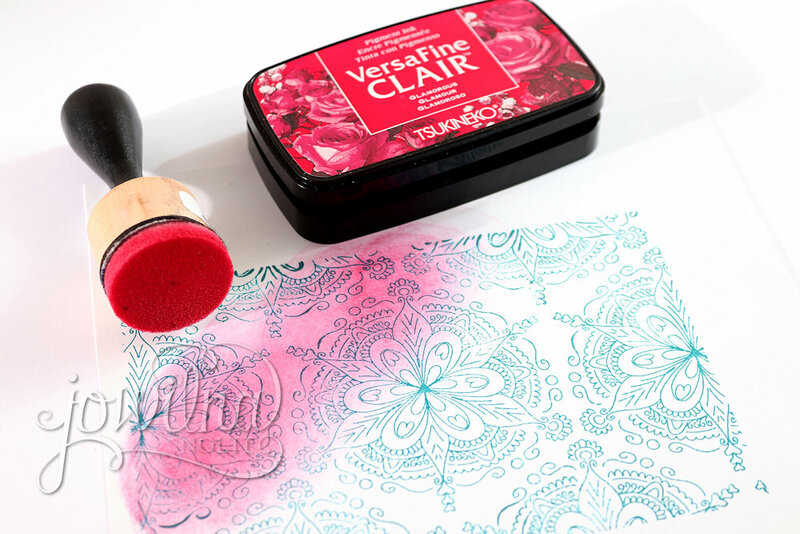 We hope you enjoyed the World Card Making Day with us featuring the stunning Joy Clair stamps. 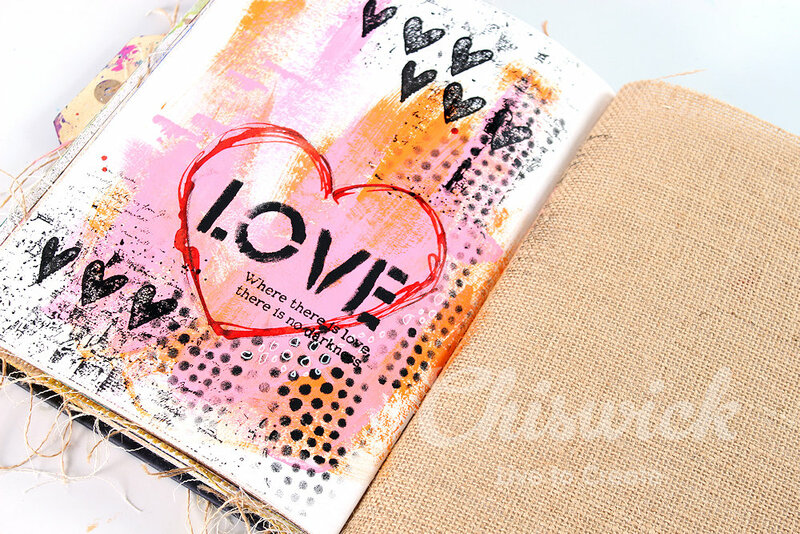 With the month of love heading our way it’s time start pulling out all those love themed crafting projects. 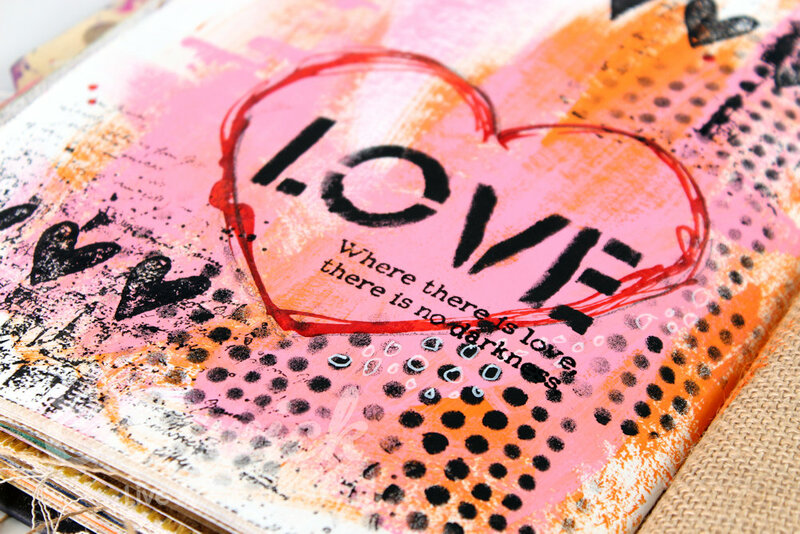 Today I am sharing some art journaling inspiration using POP Paint and stamps for a bright and love filled spread. and I think I achieved exactly what I had in mind. step 1 -Dry brush some Burst (orange) POP Paint onto your background in a random fashion. 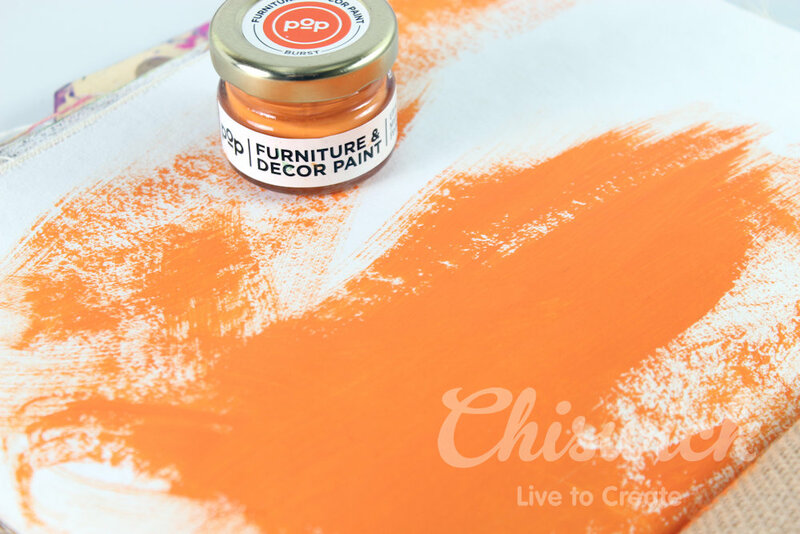 step 2 – Once the orange is dry, dry brush some Blush POP Paint over it and leave to dry. and trace around the heart shape. Leave to dry. 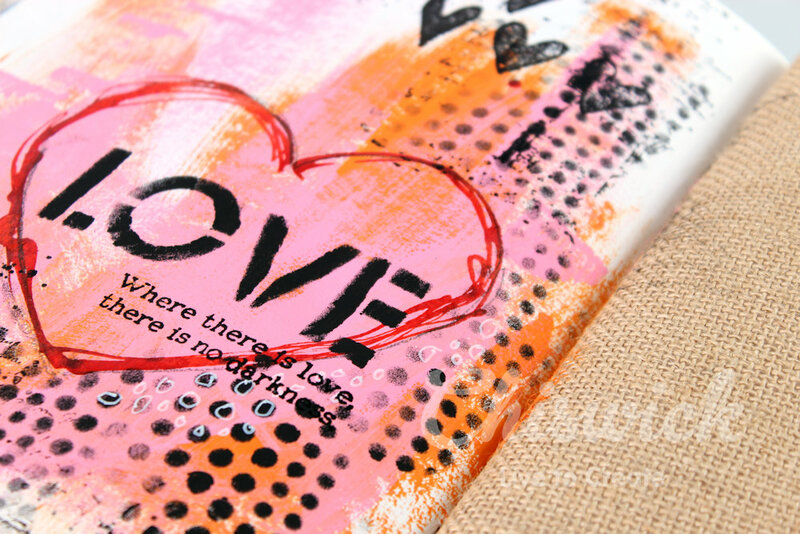 step 4 – Use Onyx POP Paint and some stencils to add details. Lift a small amount of black paint with a sponge dauber and tap off the excess. 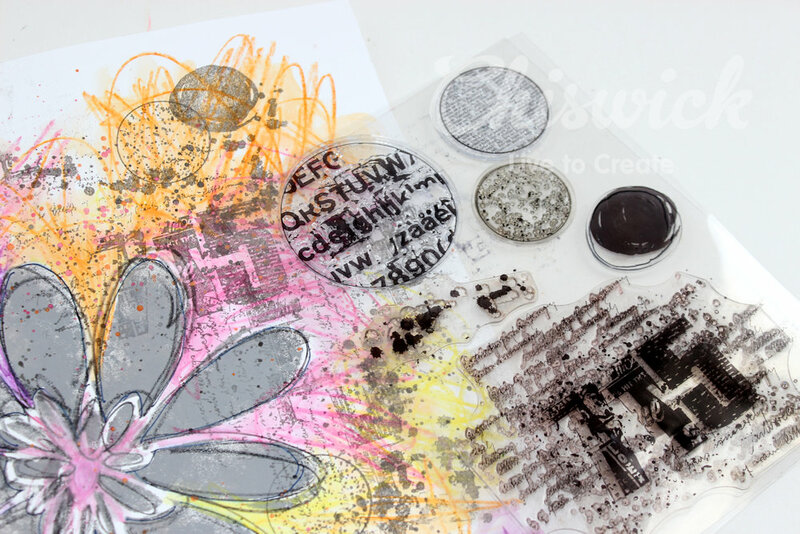 Pounce through the stencil design to transfer a thin layer of paint onto your page. Leave to dry. 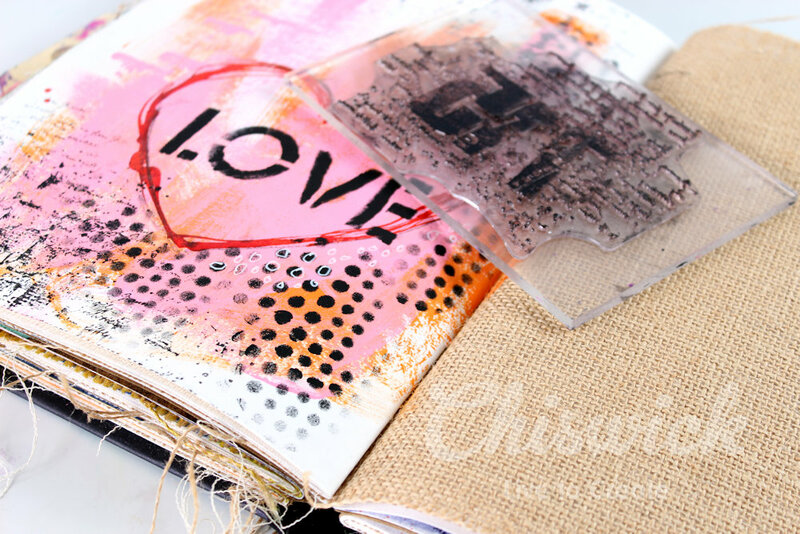 TIP: The thinner the layer applied the quicker it will dry. 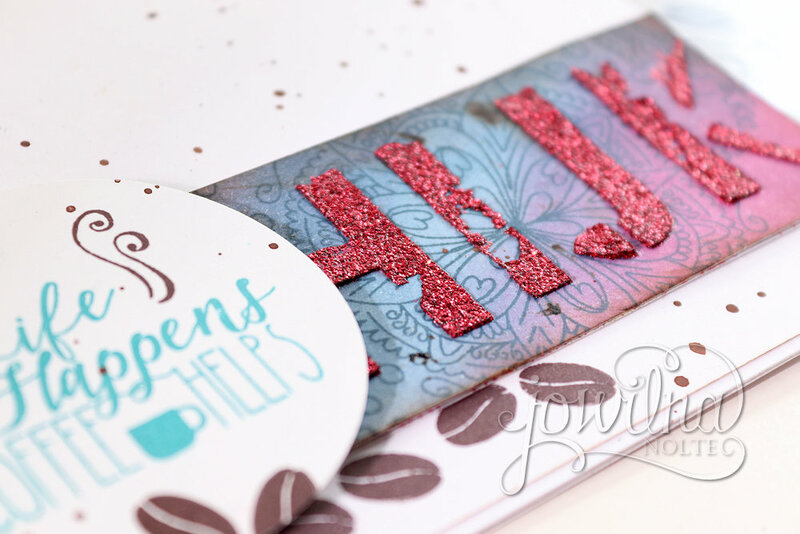 step 5 – Use your fine print stamps and black ink and stamp over your entire page for some added details. 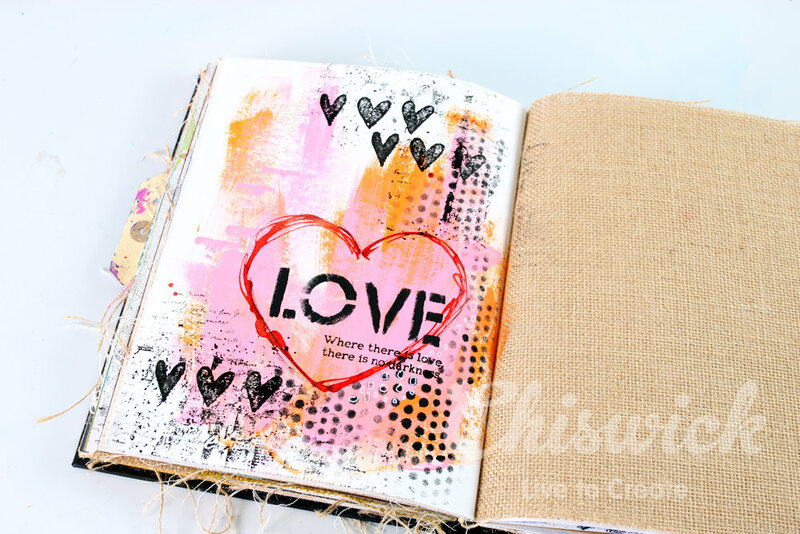 step 6 – Add some stamped heart and sentiment details to finish off your page. 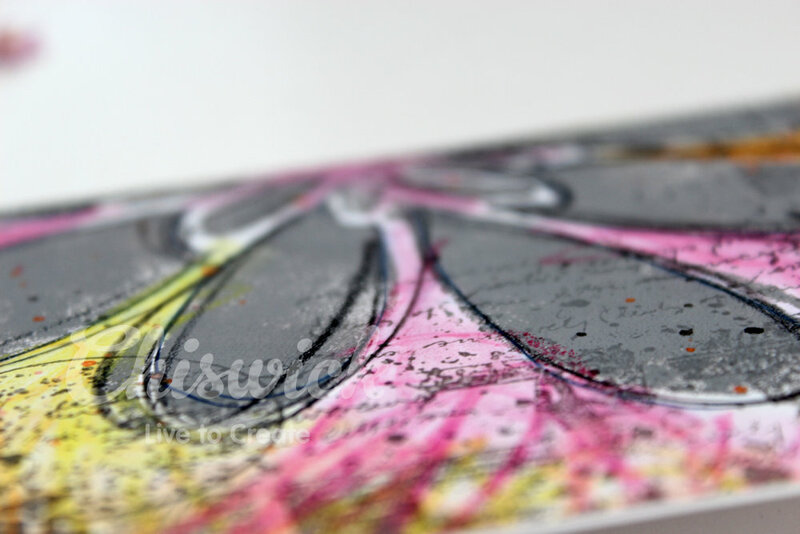 Use a white gel pen and draw some details on your page. 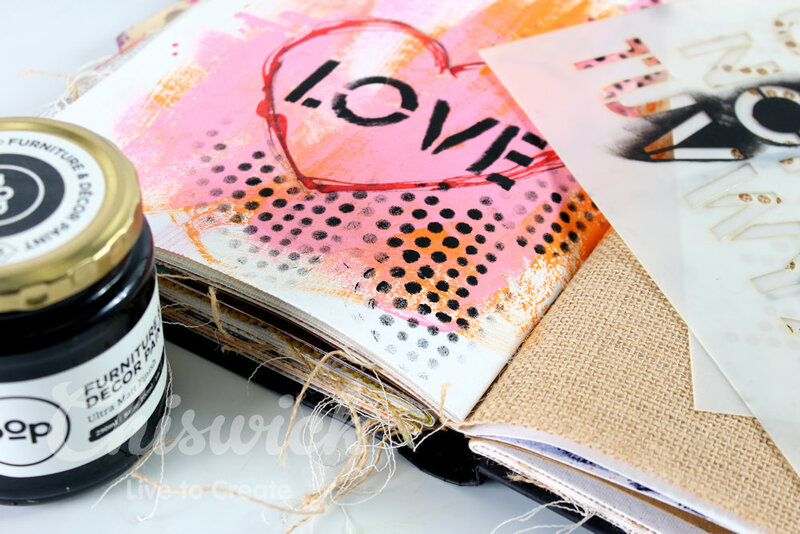 POP paint makes for amazing coloured art journaling pages and can be used in a multitude of ways. 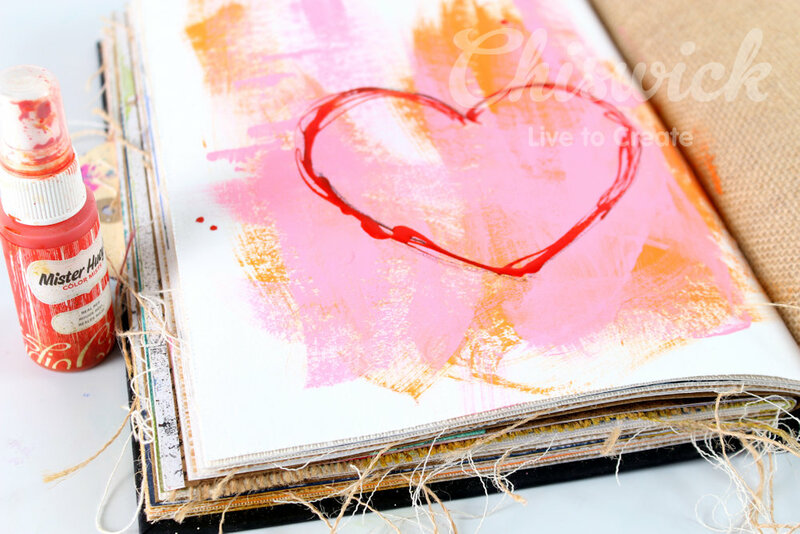 What have you done with your POP Paint lately – and what colour combinations have you tried?